The SAN.CAN is a innovative waste disposal can developed by founder, Anthony Arriaga. That British Chick social media agency developed a focused green social media strategy around the importance of recycling and the global impact that recycling can have. We've invented a new kind of trash can 🗑 That's made of 100% post-consumer recycled plastic.♻️ When you use the San.Can you reduce your environmental footprint! 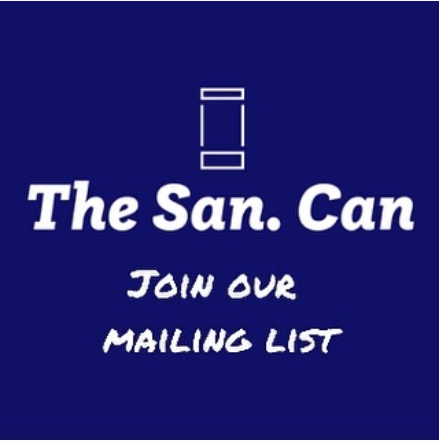 👣🌀 💌 Join our mailing list and help us bring the San.Can to the world. 🌎 🎁 Subscribers could win a SAN.CAN + bags + goodies!